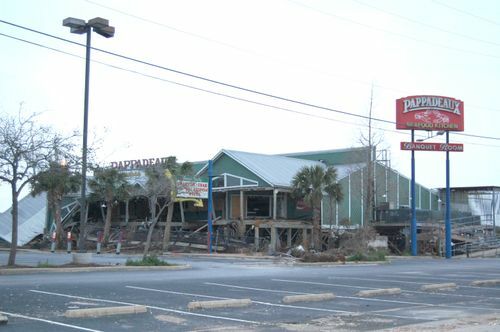 Pappadeaux was one of our favorite restaurants in the Kemah area, located directly across the Creek from the Kemah Boardwalk area. The remains stand in the shadow of the Highway 146 bridge that links Kemah and Seabrook, crossing over Clear Creek near the entrance to Galveston Bay. Ed called the corporate headquarters to learn the fate of the restaurant, and was told that it would be repaired, but that it would take at least a year for it to once again be open for business.